Carnation Auto Blog: Bond And His Love Affair With Stylish Cars! 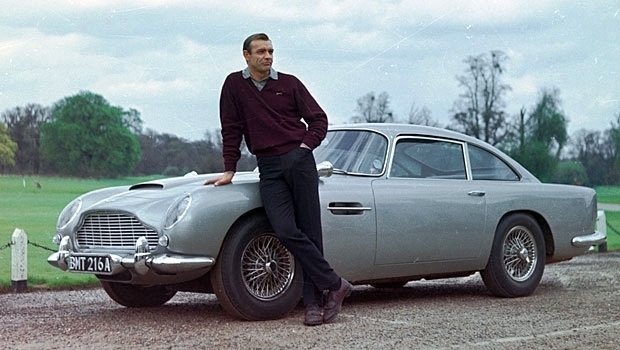 Bond And His Love Affair With Stylish Cars! James Bond, a suave secret agent. Risqué but intelligent. Intense but playful. Good looking and remarkably refined, Mr. Bond is undoubtedly one of the best fictional characters ever. His choice of cars is also a reflection of his taste and personality. 007 loves his rides as much as his women, or perhaps, slightly more. Fun to drive, fully equipped with futuristic gadgets and technology, Bond’s cars have been instrumental in pulling off dangerous stunts and fighting his enemies. While the list of cars that various James Bonds’ have used is extensive, I am sharing five of the most exciting, good looking, and famous rides ever. 5. 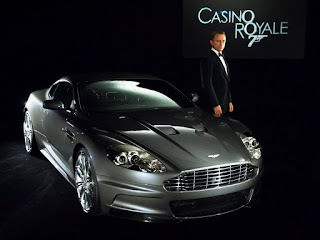 Aston Martin DBS V12 (Casino Royale) - A new car for the new James Bond. Featured in Casino Royale, the Aston Martin DBS V12 didn’t have any special techno-gadgets from Q’s lab. Though it did have secret compartments to house Bond’s Walther P99 and an emergency medical kit that included antidotes to many poisons and the kit played an important part of the storyline. Unfortunately for all the 007 fans, the Aston Martin DBS V12 meets with a crashing end as it flips 7 times before hitting the ground while Bond tries to save Vesper. 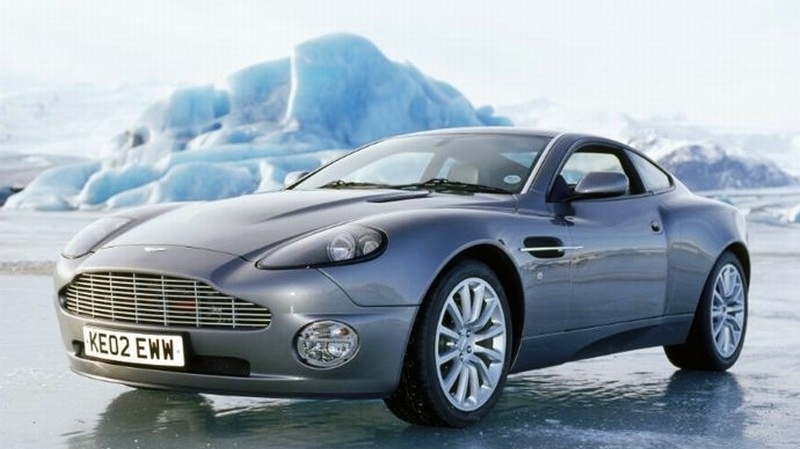 This Aston Martin was also used in Quantum of Solace Daniel Craig’s second outing as Bond. Again, the super car gets destroyed, this time right in the beginning of the movie. 4. Aston Martin V12 Vanquish (Die Another Day) – Its famous because it could do the unbelievable, become invisible! While it may sound completely ridiculous, the Aston Martin V12 Vanquish’s vanishing ability was much useful when fighting the enemy. I have to admit the idea of an invisible car sounds rather farfetched, but it’s a fun watch for sure. 3. BMW 750iL (Tomorrow Never Dies) – While Aston Martin has been the brand of choice for this British agent, the German BMW was given a chance to show off its flagship luxury sedan BMW 750iL in Tomorrow Never Dies. BMW 750iL was powered by a 12-cylinder car engine, and was loaded with gadgets including missile launchers, self-inflating tires, caltrops, and an impenetrable body. 2. 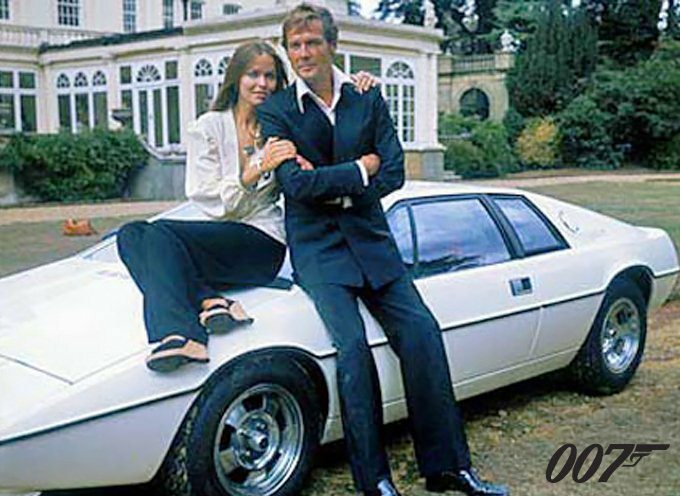 Lotus Esprit S1 (The Spy Who Loved Me) – Of course, if we are talking about cars and Bond in the same breath then no car will be just a car. It has to be something more and that’s exactly what the custom-built Lotus Esprit S1 used in The Spy Who Loved Me was. Pop-out fins, rudders that helped the car double up as submarine, surface-to-air missiles, and what have you! This car has also been ranked as the 2nd most famous James Bond car of all time. The Esprit S1 is housed in the “James Bond Experience” at the National Motor Museum, Beaulieu in Hampshire, England. 1. Aston Martin DB5 (Goldfinger) – One of the biggest reasons why Aston Martin cars are considered to be the quintessential James Bond cars is the Aston Martin BD5. Driven by Sean Connery in Goldfinger, this car is a signature 007 car and went on to be featured in several movies of the franchise like Thunderball, GoldenEye, Tomorrow Never Dies, Casino Royale and Skyfall.The car is fitted with a retractable bullet-proof shield, tyre slashing hubcaps, oil slick deployer, machine guns hidden behind headlights, and even an ejectable passenger seat. The Aston Martin DB5 along with all its gadgets was sold to Harry Yeaggy, a car collector, for $4.6m on 27 October 2010.